turn in over 50,000 petition signatures to Governor Arnold Schwarzenegger! Assemblyman Mark Leno and State Treasurer Phil Angelides�hosted a press conference in�Sacramento on Monday, June 6 as we handed in your signatures opposing the Special Election.� Those of you who saw press coverage of the event may have noticed, as we turned in the petitions, that�Schwarzenegger's office has begun to look like a well armed fortress.� Meanwhile, here at the friendly website, we'll continue to gather signatures this week, making sure they also get turned in.�Arnold�s decision is due June 13. Political rancor likely to swell in special vote Schwarzenegger expected to announce election on redistricting, budget, schools. Read Full Article in the San Francisco Chronicle! Is the special election a done deal for Arnold? 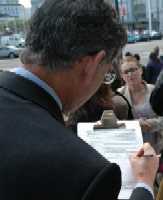 State treasurer Phil Angelides signs www.ContestTheVote.org's petition. (Photo courtesy of Bill Wilson) At a press conference held on the steps of San Francisco's City Hall today, California state treasurer Phil Angelides shared the podium with Assemblyman Mark Leno and www.ContestTheVote.org's Rick Hall to announce their support for a statewide effort to stop Arnold's special election. 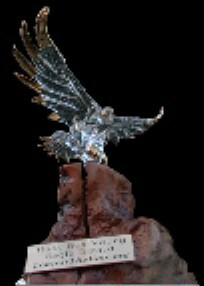 �www.ContestTheVote.org� does not pay signature gatherers and we don�t raise money. 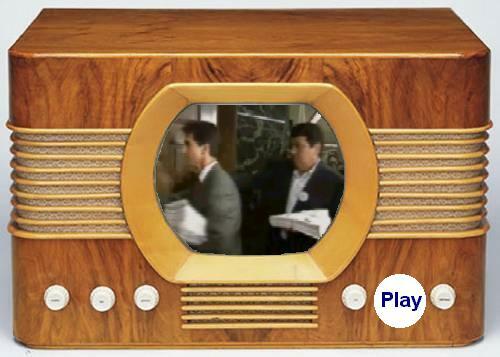 We are a group of real Californians attempting to educate voters that the Governor�s special election circumvents new laws going into effect in 2006 which removes paperless electronic machines from use. We also want to send the Governor the message that not all Californians are in support of his idea to spend $70 million on an unnecessary and costly special election. Instead of spending the $70 million for a special election, we could provide a UC education to more than 9,000 eligible students or pay the salaries for more than 1,300 classroom teachers. We could provide healthcare for 50,000 uninsured, poor children or in-home support services for over 90,000 frail, elderly or disabled Californians. Governor Schwarzenegger claims that �the people� are the motivating force behind his special election, even though �Citizens to Save California� will pay signature gatherers up to $15 per signature to get the 600,000 signatures needed to quality each of his initiatives for the ballot and the million signatures needed for his constitutional amendments. �California for Democracy� are asking Californians who care about this issue and want to help stop Arnold's waste of taxpayer money to log on to the �California for Democracy� website: www.californiafordemocracy.com At that site Californians can connect with an on-line petition to sign, download their own petition form and make copies of flyers to hand out to friends and neighbors. Stop Arnold From Holding An Expensive, Unnecessary, Unverifiable, Special Election! California residents: do you want your vote to count? Do you know that, if a Special Election is held in 2005, your vote could be lost or stolen by electronic means that would leave not a trace? Yes, Arnold�s boondoggle of an election would not only cost $70 million dollars--the most distressing fact is that voting in 2005 would take place on the outmoded paperless and non-voter verified electronic voting machines. An election held early, in 2005, is much less secure than one held in 2006. A November, 2005 election would circumvent the bill passed last September by the California legislature requiring that all direct recording electronic (DRE) voting machines include an accessible voter verified paper audit trail as of January, 2006. Holding a special election in 2005, before this requirement takes effect, clearly invites chaos and lack of voter confidence in the election result. Why is Ahnold so intent on holding an election seven months prior to the regularly scheduled, more secure, June 2006 primary? Word is, he wants to circumvent yet another law, one that makes it illegal for him to raise and spend money for his initiatives closer to the time when he�s a declared candidate. Supposedly, he wants new statewide redistricting, but the timeline is so short for that, its feasibility is suspect. After all, candidates need to file their papers in early 2006, but can�t if they don�t know whether they still live in their district. There are many excellent reasons to Stop this Special Election. We need to make it clear to the Governor, and the media, that California voters do not want an expensive, unnecessary, unverifiable, and potentially chaotic statewide election in November 2005. We can wait until the regularly scheduled election in 2006, when a voter verified paper audit trail will be required for all direct recording electronic machines. We need to get everyone we know to sign this petition to Schwarzenegger demanding he drop his wrong-headed idea of forcing a special election upon us. Polls show that support for the election falls when people know how much it costs. Add to that the mystery of what could happen to our votes, and support will dwindle even more. Concerned Californians: sign on. Contact your friends. Let�s let the Governor know we oppose a special election set up for his Special Interests. It�s time for him to realize he doesn�t own California. The state belongs not to Arnold, but to us, the people of California. �Leno has been working with grassroots organizers who have been gathering signatures online [www.ContestTheVote.org] and in person for petitions urging the governor to drop plans for a special election. As of Friday afternoon, the groups have collected nearly 17,000 signatures.�. Is your county pulling its weight?